The dust has settled from my most recent trip to Orlando. My bags are finally unpacked, gifts have been given to their recipients and the credit card statements are rolling in. However, I have this really cool blog where I get to share with you the experience that was my two week trip. 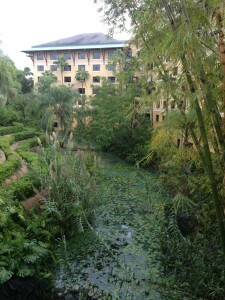 My trip spanned 6 theme parks, 3 resort hotels, 2 beautiful islands, and 1 cruise ship. I am going to take you through the highlights of each day in pictures and dialog in hopes that you can enjoy my trip second hand and perhaps offer some great ideas to a trip you may be planning! What, you are not planning a trip? Now is a great time to start thinking about it with the holidays coming up, winter and spring vacations not too far down the line and for those of us up north the winter weather starting to sneak in! Any how I digress. The first stop on my trip was to Universal Orlando! I arrived in Orlando late in the evening on September 28. A little behind schedule with my friend in tow we gathered our bags and collected our rental car. Off we went, or so I thought. Apparently, the people who rented the car I was in prior to me had an issue with the car. Someone mistakenly assigned me (lucky as always) to this vehicle. I was not let out of the gate for another hour while they figured out the issue. The company did upgrade my vehicle, but lost time is always a misfortune. 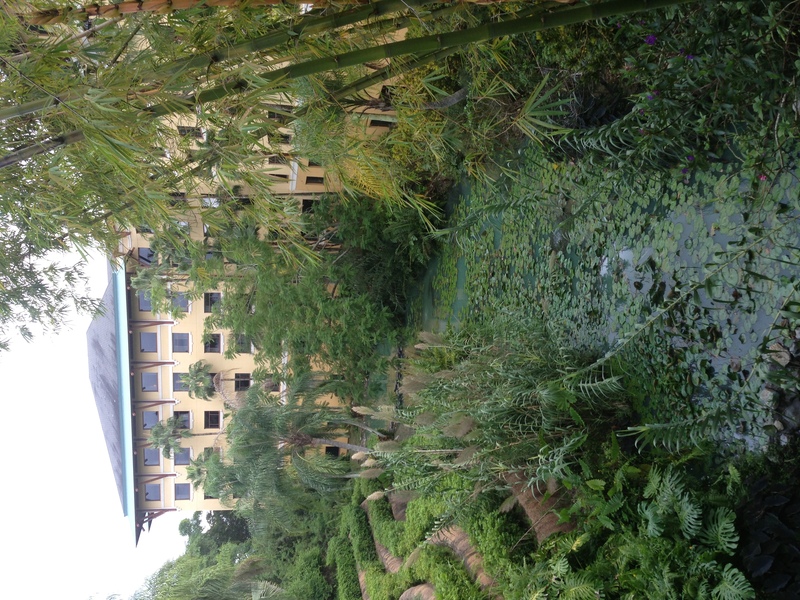 It took me about 20 minutes to arrive at Loews Royal Pacific Resort at Universal. Royal Pacific is a big, beautiful hotel with lots of great story and themeing. The room was well appointed and kind of brings the Polynesian resort to mind. Very south pacific and the feeling that a lot of great travelers have been through these parts before. We settled into our room and realized we were very hungry. It was late, but luckily Universal is home to one of the best night life areas in Orlando! City Walk! We decided to head over and grab a bite before bed. We wanted to ensure we were up early as Universal Resort guests get early admission to The Wizarding World of Harry Potter; Diagon Alley in Universal Studios. Before heading out we stopped off at the express pass booth in the hotel lobby. 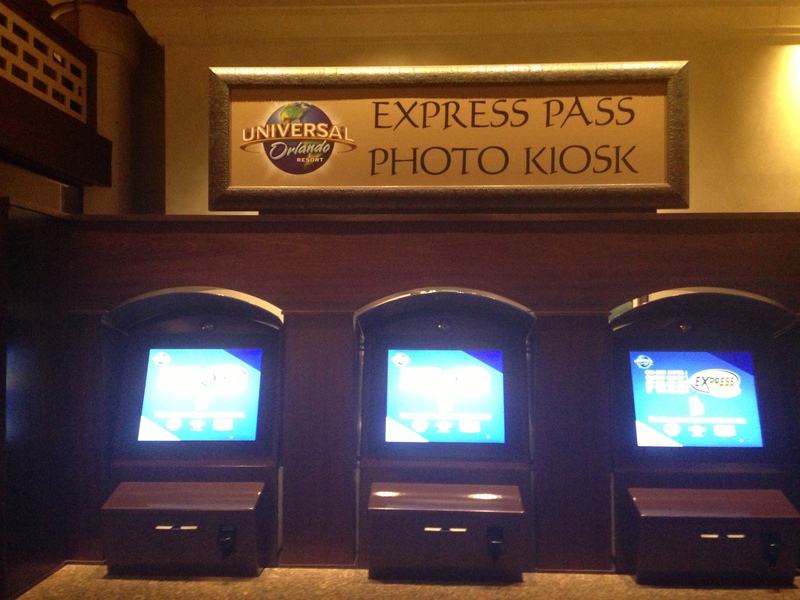 Express pass is basically front of the line access. 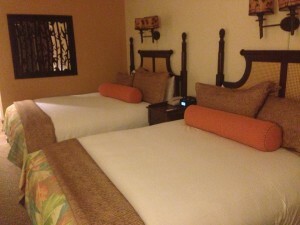 You get it for free when staying at Royal Pacific, Portofino Bay, or Hard Rock Hotel on Universal Property. You can buy this option as well if staying off site. This is perhaps the biggest perk to staying on site. We walked on pretty much every ride. We did not wait once. Granted, we were visiting during the slow season but as Disney fans can attest too the slow season can still bring huge crowds. We decided to take the water taxi to City Walk. The water taxi services the 3 deluxe resorts on property but does not service Cabana Bay, Universals value resort. The water taxi is comfortable and comes every few minutes to deliver guests to City Walk which also happens to be the gateway to both Universal Studios and Islands of Adventure, the two theme parks that make up Universal Orlando. We decided a burger and a Margarita were a great way to start a vacation. 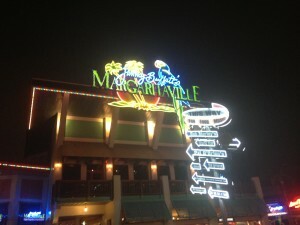 Jimmy Buffets Margaritaville was the perfect choice. Parrotheads near and far should check this place out. Very fun, great live music, awesome decor, and good food! I went with the classic margaraita and of course a cheeseburger and paradise (I like mine with lettuce and tomato, heinz 57 and french fried potatoes!) It was very good but oh my god, it was expensive. Think Disney charges a lot for food? It was nearly $70 for the two of us to have a drink each and a burger. Yikes! Universal does offer a meal plan but it is not a savings. It is more of a convenience. After dinner and some light shopping it was off to bed. Tomorrow we had an early meeting with Harry Potter! Stay tuned to find out how day two went. As always if you are interested in booking a Universal Vacation Package contact me Jess@Pixievacations.com to learn how I can plan you a great get away and provide you with some spending money to boot! This entry was posted in Trip Report, Universal Orlando. Bookmark the permalink.